"If they call us mutations... what must they be like?" Inevitably, you can't ignore the success of the Daleks. There's something immediately attractive about them right from the start. It's that combination of Terry Nation's ideas and the genius design by Raymond Cusick that must have intrigued viewers when this serial began transmission in December 1963 and continues to delight them nearly 50 years later. Though the presence of the titular creatures irked BBC Head of Drama Sydney Newman, who had stipulated that he wanted no 'bug-eyed monsters' in the programme, the Daleks were originally more than the ranting arch nemesis they became. Marc Edward DiPaolo, who talked about his 'Journal of Popular Culture' article Political Satire and British-American Relations in Five Decades of Doctor Who on Radio 4 at the beginning of the month, surely deserves the 'stating the bleeding obvious' award by concluding "the Daleks are obsessed with racial purity and dedicated to a policy of genocide and represent the Nazis." Not wishing to disparage his article, but I think the majority of scholar-fans had reached this very conclusion some time ago. As James Chapman points out in 'Inside the TARDIS - The Worlds of Doctor Who' the original synopsis prepared for the serial sees the story of two races surviving through a nuclear winter firmly entrenched within the apocalyptic science fiction tropes of authors such as Wyndham, Christopher, Kneale, Shute and Maine. 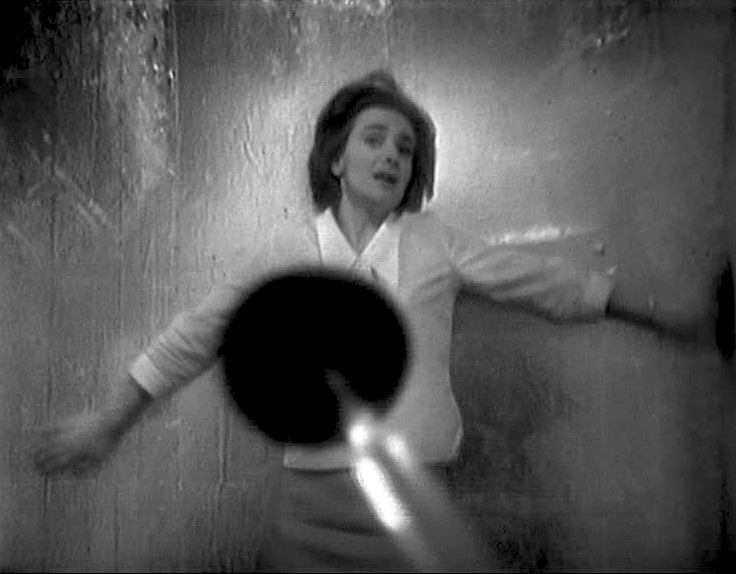 Terry Nation's The Daleks also emerged into a cinema of the post-apocalypse too - including Val Guest's superb The Day the Earth Caught Fire and Losey's thematically similar The Damned as well as a whole raft of radioactively traumatised creatures popping up from beneath the sea and dropping down from outer space. The Dalek creatures therefore become an allegorical symbol of our nuclear fear and rehearse many of the xenophobic anxieties emerging out of a recently concluded conflict. Not your standard bug eyed monster, then. I noted in my own 'Doctor Who - The Pandorica Opens', while discussing Victory of the Daleks, that Nation's first serial "rehearses the fears of a nuclear conflict fresh in the minds of viewers that had experienced the atomic bombs that brought the war to a conclusion in 1945, the tensions of the Cuban Missile Crisis of 1962 and the xenophobia fuelled by a drive towards racial purity projected by the Nazi rise to power in Europe." Their rabid notion of racial purity, a theme that is developed in much later Dalek stories, suggests these machine creatures equate the power of evil with the appearance of the disabled, the mutated and the infirm. Disfigurement is an abiding theme in much of Doctor Who, particularly when it comes to the depiction of evil. This is something that Laura Waite has discussed in her paper, for the Centre of Culture and Disability Studies, Are the Daleks disabled? The portrayal of evil in Dr Who, where the Dalek is seen as "quasi-human [and] they can be said to have a number of significant impairments; these include monocular vision, limited mobility and dysphonic staccato speech." But we are also consciously talking about the Daleks as the Germans and the Thals/Doctor and companions as the plucky Europeans pledged to fight back. The 1950s and early 1960s saw a generation vow to avoid appeasement to any other aggressor and not to repeat the mistakes made in the War. Hence, the Cold War stance of the Daleks themselves, a symbol of that ultimate policy: 'MAD' - Mutual Assured Destruction - that formed the backbone of that period right through to the 1980s. Of course, with the Daleks it's not nuclear deterrence at all. They are mad and will destroy everything and everyone that isn't like them. It's xenophobia as well as fascism and the radiation will not harm them now they are encased in their mobile bunkers. Yes, it's a bit of a cliche now to label them as Nazis but their introduction draws in a number of influences beyond the usual nuclear fear/fascist paranoia dualism. The Daleks reflects Tolkien's own nuclear parable of Lord Of The Rings, with his attention to world building and the dichotomy between the destructive qualities of rampant technology and the return to a pacifist harmony with the natural environment. 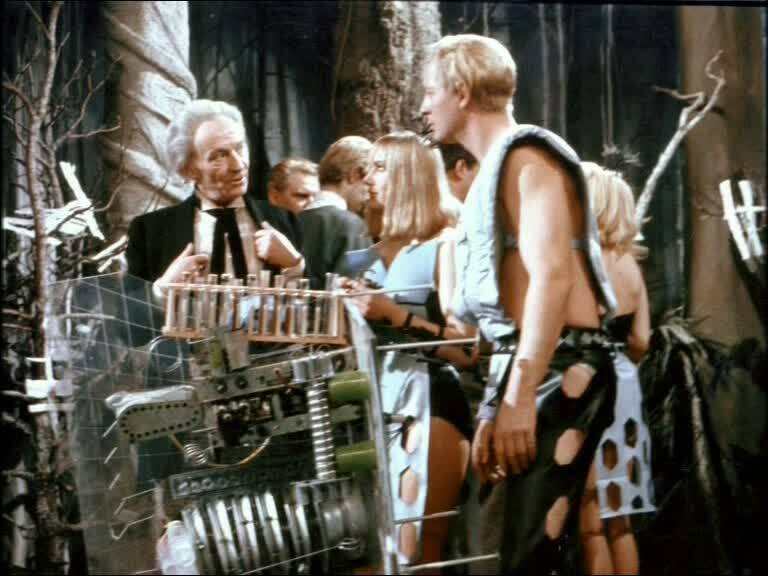 It's also in great debt, as much of the concept of the series is, to Wells' The Time Machine with the Daleks replacing the Morlocks and the Thals standing in for the Eloi. 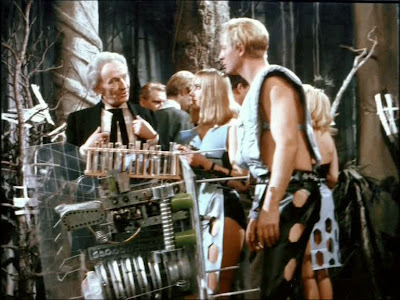 There is also the use of 'the journey' or 'the quest' in the story as Ian and the Thals cross the swamps and mountains of Skaro - it certainly feels as if these seven episodes are part of a much bigger narrative - but it also fuses it with a Flash Gordon style science fiction serial adventure complete with cliffhangers. Bubbling away underneath is a 'British in outer-space' fantasy that, like most pop culture of the 1960s, props up an obviously ailing British Empire and rapidly shrinking Commonwealth, that finds its origins in 1950s comic strips such as Dan Dare. The assigning of a 'Germanic' nature to the Daleks is a little obvious and is compounded by the way the sets in the story resemble those from German Expressionist cinema and for at least the first four episodes this is more or less an exercise in the sci-fi noir of storm lashed jungles clashing with angular silver cities right out of Metropolis. It's only in the last three episodes that the story flips over into a comic book adventure serial. But design is crucial to the story and the design of the Daleks is vital to their success. The Dalek design is iconic and striking. They dominate the episodes they are in and the cliffhanger to episode one is now regarded as one of the finest televisual examples of its use. Director Christopher Barry uses a striking POV shot to establish the Daleks at the end of that episode that is an adventurous bit of television direction in its own right, especially in that great pull back in the second episode to reveal the Daleks themselves. There is a great use of observational shots too and bringing in the use of the surveillance cameras is very inspired. As well as these great visual flourishes there are also some very good in camera effects. The shot of the TARDIS crew overlooking the Dalek city is a simple but bold use of inlay effects. Inlay shots were notoriously tricky to do and Richard Molesworth's recent 'Wiped - The Missing Episodes of Doctor Who' notes the difficulty Barry had mounting the sequence in studio. There is still a sense here of pushing the envelope as far as using the resources that the production team had at their disposal. This is also evident in the sequence of Susan running through the forest which might look amateurish now but still retains a very surrealistic, nightmarish edge to it. The other thing to note is the 'sound' of this story. The experimentation of An Unearthly Child is taken some steps further. We've got Brian Hodgson using the ring modulator to create the grating voices for the Daleks as well as various soundscapes for the Dalek city and the forest. But there is also the atonal electronic score by Tristram Carey which here begins the tradition of merging music and special sounds together to form an atmosphere for the stories. It's an exercise in doom-laden, minimalistic brilliance that meshes with Hodgson's effects and leaves a lasting aural impression, a significant ingredient to establishing the strangeness of Doctor Who. 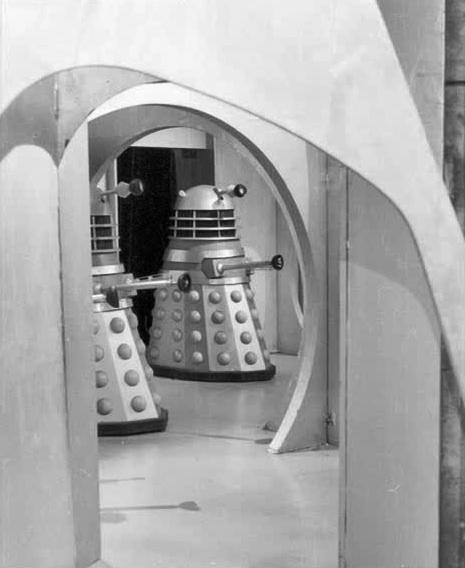 Ray Cusick’s Dalek design, as revealed in the second episode of The Daleks, was influenced by an altogether very different design aesthetic and tradition. He embraces Art Deco and streamline design rather than the ideas of a European school like Bauhaus, which can be seen as a major influence in the design of the TARDIS. The Daleks have their roots in industrial, consumer and automobile design for the late 1940s. When the Daleks were associated with the American Art Deco period of the 1930s and 1940s in Daleks in Manhattan by dint of their present refinements, it was no arbitrary link. The Daleks had more in common with the Empire State Building and the Chrysler Building than we assumed. Streamline design stood for mobility, speed, efficiency, modernity and a positive vision of the future. 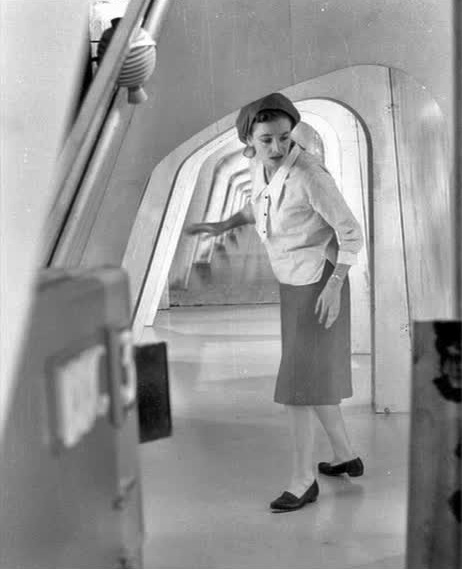 Concepts such as speed and change, exploration of new materials, together with new modes of transport and appliances were common to this aesthetic that in turn influenced many science fiction writers, illustrators and filmmakers. It is not therefore too great a leap to see the link from the streamlined designs of Bel Geddes, Loewy et al directly influencing Saturday morning serials such as Flash Gordon and, later, comic strips such as Dan Dare and Cusick’s design thinking for Doctor Who. But we also have to turn to the series's major strength - its characters. Hartnell's Doctor is still rather frighteningly amoral and self absorbed. 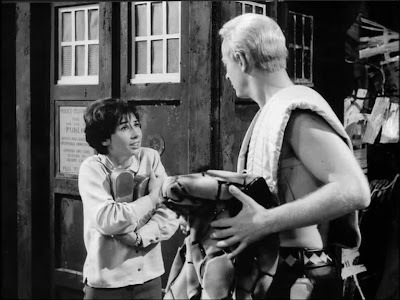 Perhaps more likeable than the nasty piece of work seen in An Unearthly Child, it is clear that one of the main story arcs is to 'humanise' him by pitching him in with Ian and Barbara. Hartnell is marvellous at depicting the man's selfishness, his overriding curiosity and even his cowardice when danger threatens to overwhelm him. The William Russell and Jacqueline Hill double act of Ian and Barbara, perhaps one of my favourite set of companions in the TARDIS, continues to battle with the Doctor's manipulating nature while they also continue to represent us in the audience. Ian in particular is the pivot around which the pacifism of the Thals is discussed. He understands their dilemma and then provokes them into taking action. He probably represented the views of many British people, who witnessed large sections of society gladly joining Ban the Bomb marches, but firmly believed that might was right in the appropriate instances rather than Cold War appeasement. It's a realistic reflection of the audience's own world view and is one of the few examples where social and political change is reflected in the storylines. Barbara is, like Ian, a fully rounded character and her bonding with the Thals, including a romantic frisson with Philip Bond's Ganatus, manages to give a rather lacklustre bunch some much needed dimension. She's a game old thing too, making the treacherous journey across the swamps and mountains with Ian. Perhaps the weakest of the TARDIS crew is Susan and after a strong appearance in An Unearthly Child, she doesn't get a huge amount to do, with the highlight being her perilous journey back to the TARDIS to fetch the anti-radiation drugs, but she clearly fulfills the role of identification figure for the younger members of the audience. The development of her character will continue to be problematic in the first year of the series. Well designed and produced, with Christopher Barry's more interesting direction somewhat overshadowing the work of Richard Martin, who helmed three episodes of the seven. Wonderfully performed, The Daleks does rather outstay its welcome at seven episodes but it is as iconic a piece of television as Waris Hussein's debut with An Unearthly Child. 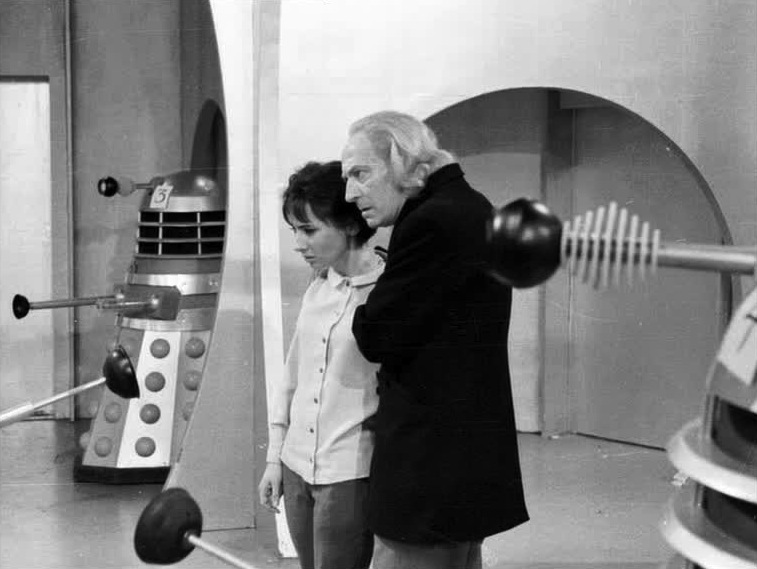 Without the Daleks appearance you do wonder if we would be still sitting here watching the series now and even Sydney Newman reluctantly acknowledged their part in the success of Doctor Who. 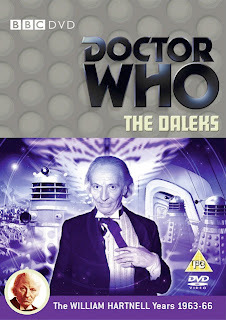 The Daleks is presented as part of the excellent The Beginning DVD box set. All seven episodes have been restored to their best considering the source materials and the VidFIRE process has been applied to return them to their video tape look. Gary Russell moderates the commentaries and these feature the series's original producer, the late Verity Lambert; directors Christopher Barry and Richard Martin; actors William Russell and Carole Ann Ford. Short featurette with a number of interviews that discuss how the Dalek props were physically designed and created including the designer Raymond Cusick. A nice selection of stills including some behind the scenes material and rare colour images. A wealth of background information is provided in the subtitles.